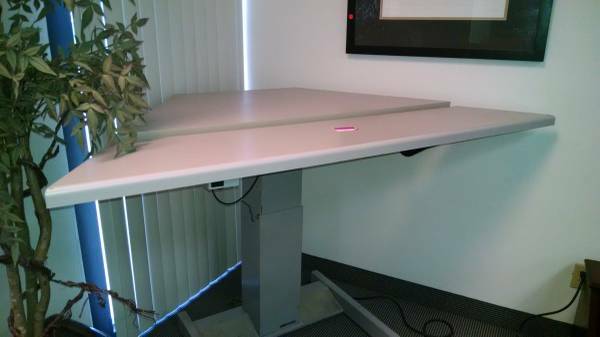 Enable people to sit or stand at the desk throughout the day while they carryout task. 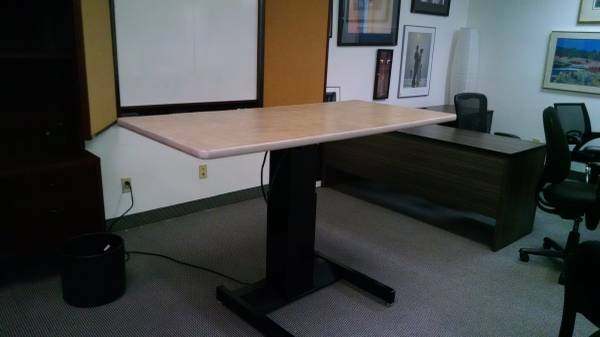 The desks telescoping ability to go up and down with the powered mechanism allows for any desk height ranging from 27″ to 44″ in height. 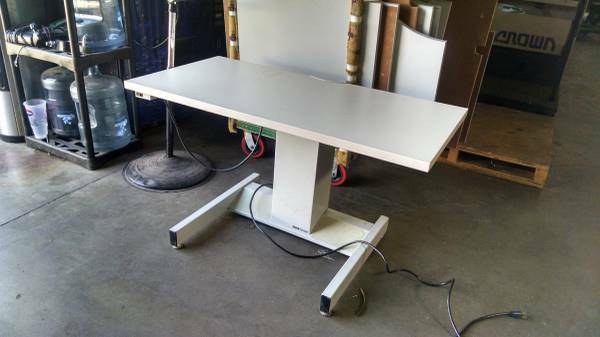 Protect your employees health by providing the most effective Office Equipment allowing the most most ergonomically correct office furniture to comfort you throughout those long days in the office. 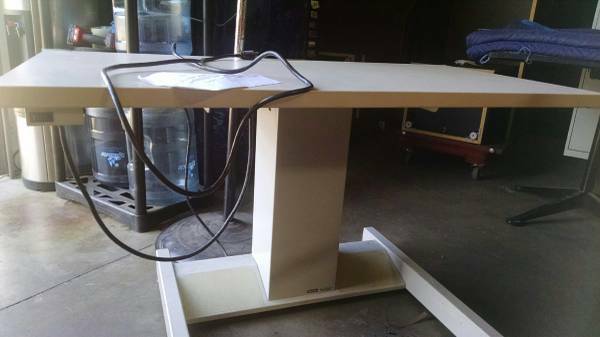 We have some used Sit-stand desks with original top or we can attach a custom top fit to your specs and paint the base to preference.